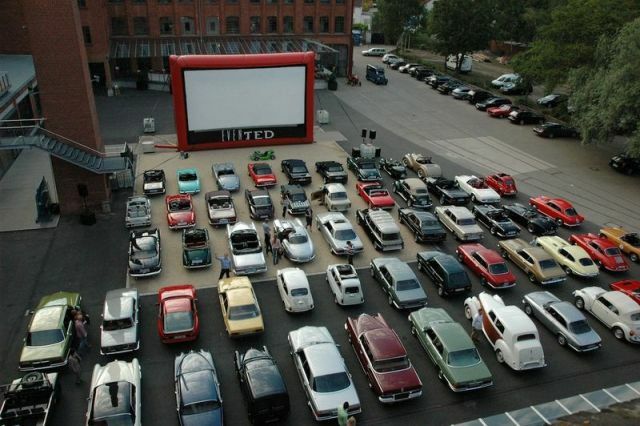 Rent your own drive-in cinema! 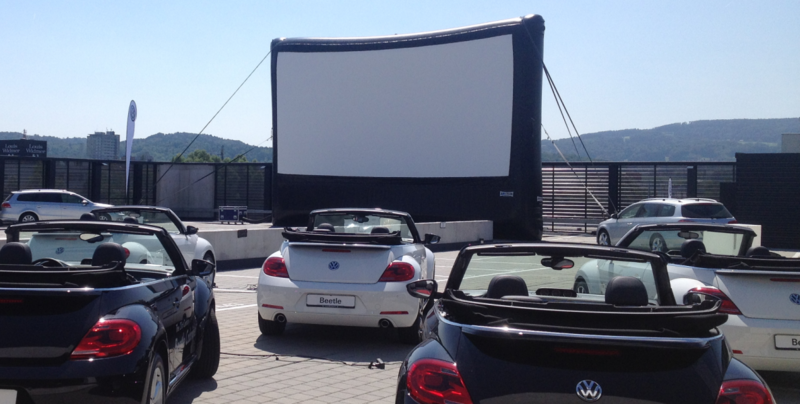 We are able to erect a mobile drive-in cinema in nearly any location that a car can drive onto. What spread from the USA to Germany during the 60ies and 70ies, again developed into a major attraction during the past few years. Particularly events with a limited duration of only a few days are a genuine success. 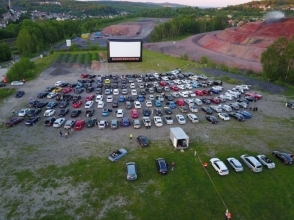 Since most of the drive-in cinemas in Germany apart from just a few have disappeared, a drive- in cinema today is a unique selling proposition. 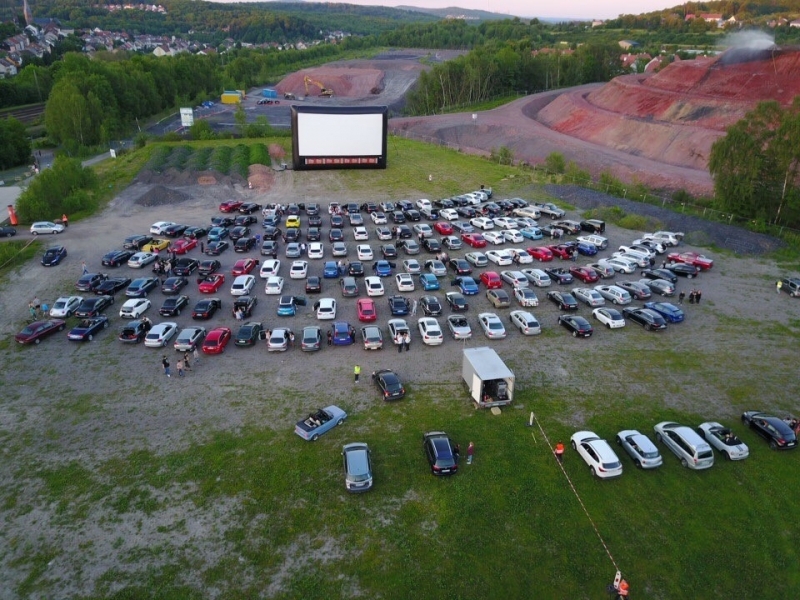 There is hardly anybody who hasn’t heard of it, but who has actually experienced a drive-in cinema event? This will be an extraordinary attraction for your guests, one that may excellently be capitalized for customer or public events. 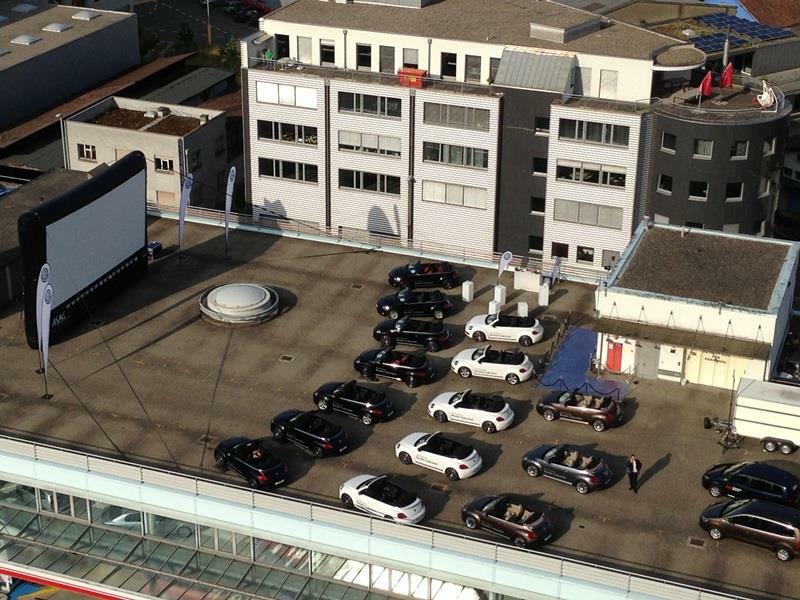 The very best: The quality of the sound transmitted into every car via FM frequency is crystal-clear. And if it starts to rain – so what! Your audience is perfectly protected inside their own cars. 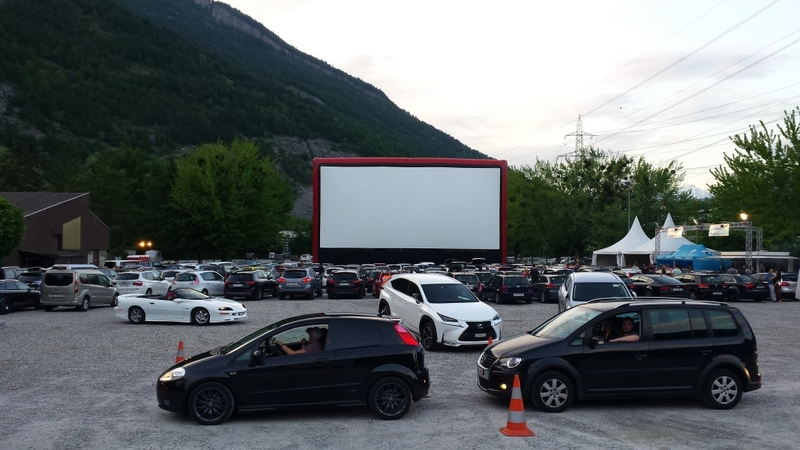 Sound transmission in a drive-in cinema is realized in an ingeniously clever and simple way: The Dolby stereo sound will be transmitted to the car radios via an FM frequency. Every visitor will thus be able to adjust his own volume and sound settings. 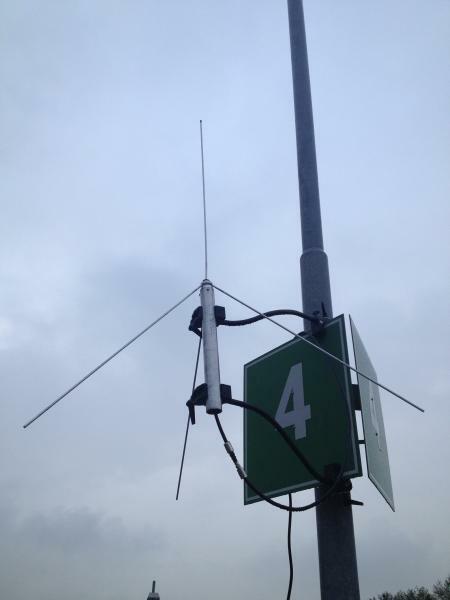 We will supply the entire FM technology required including the transmission authorization. Also the latest car radios will be capable of receiving the tried-and-proven FM band transmission without any complications. And should your car radio be decrepit: No problem at all – our teams always carry battery-powered replacement radios with them, which the customer may take inside his car. We are prepared to handle any kind of weather. 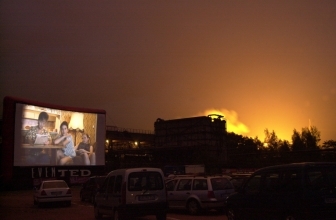 Our mobile projection booths provide air-conditioning for the projectors in periods of extreme heat. The booths are also designed to reliably keep any moisture away from the projectors – even in torrential rain. We are thus able to offer outstanding operational reliability. 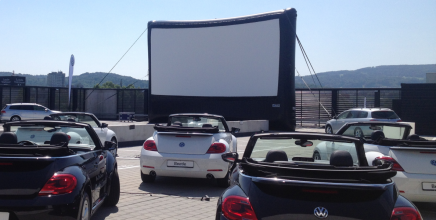 The AIRSCREEN projection screens are rainproof and may be operated up to a wind force of 6.